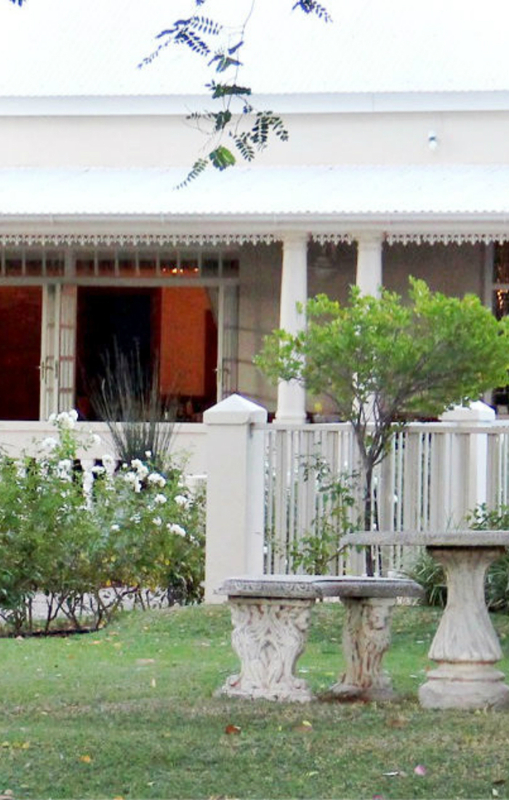 Belle Ombre Guesthouse (beautiful shade) is situated in Vredendal, a town located along the West Coast, with famous rich soils creating endless scenery of green vineyards and producing the comfort of feeling at home. Our facilities, services and rates are aimed at the need of the business traveller or discerning tourist seeking a more personal and homely experience without sacrificing quality and professional service. Our sustained high level of repeat business are indicative of our ability to satisfy the needs of our selected market. Our accommodation is comprised of seven spacious bedrooms with en-suite bathrooms and 11 self-catering units with kitchenettes. All units are tastefully decorated to provide warmth and relaxation that only a home can satisfy (sleeps 36). Enjoy a leisurely full English or Continental style breakfast in our sun drenched dining room, or on the patio overlooking the pool and beautiful gardens. We offer secured parking - guests receive a remote for security gate. We provide a range of amenities for all our rooms. Please take a look. All of our rooms have the DStv commercial premium package included. There is a fridge (honesty bar) in all our rooms. There is a microwave in all our rooms. We provide a kettle and crockery as well as complimentary coffee, tea, sugar and milk. Dry your hair with our provided hairdryer. We provide all the essential linen and towels. Braai Facilities - There’s nothing quite like a good traditional South African braai. Vredendal is known for heating up during the summer, so keep cool with our provided air-conditioner. The tarrifs for children are negotiable. Book-in time: 2:00 PM. Book-out time: 10:00 AM. Please notify us if your arrival time will differ. Please be advised that we have a non-smoking policy in our rooms. No pets are allowed on-premise.